Just a few weeks ago, Barclay’s became the first big bank to give its customers unexpected control over their spending. 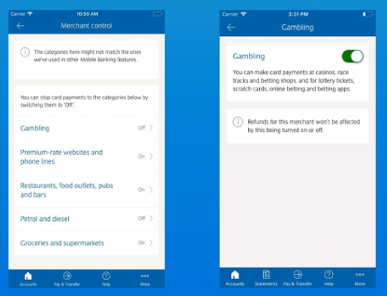 Via Barclay’s app, you can now “switch off” your debit card so that it can’t be used for five specific types of purchases – gambling, “premium-rate websites and phone lines”, restaurants/pubs/bars, gas, and groceries. Once a type of purchase is switched off, any transaction you try with your card at the relevant type of retailer or business will be automatically declined. The idea is to try and help people manage their spending impulses, and is aimed particularly at those with mental health issues or addictions. But, it can also be used to protect yourself from others trying to make fraudulent charges, if you’re worried about that. Barclay’s says it will do the same for credit cards in the near future. It’s a bold move for a bank to offer its customers a way to not spend their own money, but it’s clearly aimed at helping people. Unexpected, and a great example of putting people over profits and thinking about the customer experience beyond just transacting with the bank itself. It’s only a halfway house, given that the feature is completely within each person’s control. But even the cue of having your card declined and having to go into the app to turn whatever type of purchase back on would likely make someone who can’t help themselves think twice. Petal is a new company that provides credit cards to those who have not yet built up a traditional credit history. Instead, it uses data like how much money a person makes and spends in a month to determine what their credit limit should be. One of the company’s co-founders, Jason Gross, explains that using a customer’s bank account history as a basis allows Petal to offer better credit limits that are often 10 times higher than competitors’ rates. Annual Percentage Rates fall between the industry standard 14-25%, but the company has no fees of any kind, including late fees. Instead, the company generates money through interest payments and charging vendors when a customer uses their card. Younger people who don’t have a credit score yet finally have a credit card option that doesn’t penalize them with high rates and fees. As Gross has noted, this is especially important since this group is disproportionately made up of minorities and immigrants who often suffer without a credit score to help them qualify for financial products. Everyday It’s Getting Easier And Cheaper To Move Money. Middleman Beware. Stellar is a decentralized protocol for sending and receiving money in any pair of currencies. This means users can, for example, send a transaction from their Yen balance and have it arrive in Euros, Yen, or even Bitcoin. The service is expecting to support the usual categories of transactions: payments to a merchant, remittances back home, or rent splits with a roommate. You can hold a balance with a gateway, which is any network participant you trust to accept a deposit in exchange for credit on the network. Stellar also comes with a built-in digital currency, referred to as the stellar, which is given away for free. The currency will have value (as determined by the market); however, its primary function is providing a conversion path between other currencies. 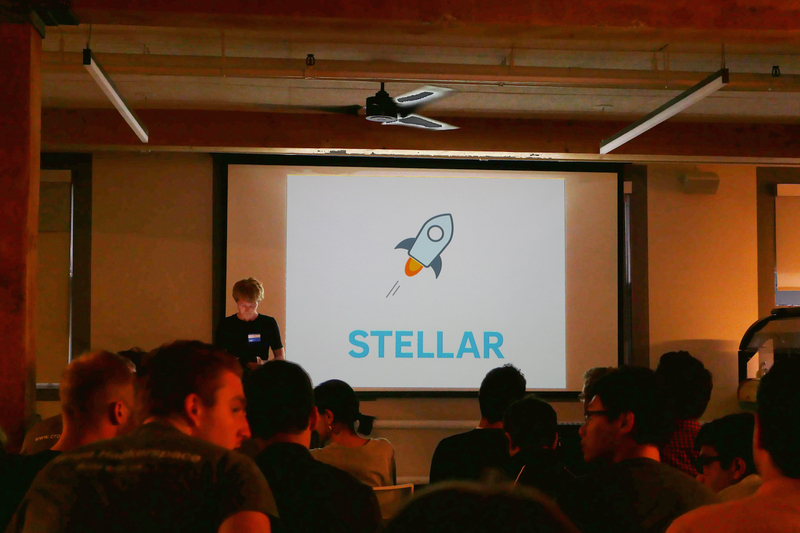 Stellar is the latest currency scheme from the tech world to help move the financial system into the present. It is being financed by Stripe, the online payment system amongst some other key players such as MIT Media Lab, Mozilla, and previous senior executives from PayPal and Square. This currency scene is starting to get quite crowded but there are three two key areas as to why Stellar sticks out among the trees in the forest. The service is the almost free, charging $0.0000000027 per transaction. This quickly eliminates any pricey middlemen that would normally take a nice percentage for this service. And secondly, the service is incredibly fast. Stellar can complete and verify transfers almost instantly. Giving the two parties little doubt as to whether payment was sent and received. The most intriguing bit of the service is that it is open-source. So, developers can build payment and transaction apps around the service. A developer could build an app similar to PayPal that could send money to friends in other countries and not have to worry about converting the currency. If a country does not have an easy way to convert one currency to another, then the service will substitute in the use of virtual currency. A system like Stellar could catch on very quickly for those that often have to wire money back to family living in another country or for small business e-commerce where it is currently too much of a hassle to engage third party services(banks, Western Union) to convert foreign currency.